You can shop at JustSqueezeIt.com with confidence! GoDaddy.com has verified that the certificate holder controls the domain justsqueezeit.com. 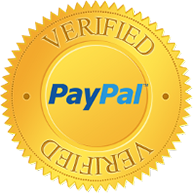 You can purchase our items using the popular and secure PayPal payment gateway, this option is part of our Shopping Cart's Checkout process. We have partnered with Authorize.Net, a leading payment gateway since 1996, to accept Credit Cards payments safely and securely for our customers. For Credit Cards payment processing, you will have an option of choosing to pay either through PayPal or through Authorize.net. 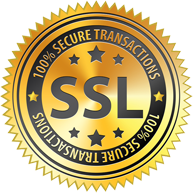 JustSqueezeIt.com is registered with the Authorize.Net Verified Merchant Seal program.